They say when you are cornered and there is no way out, the canary sings. In Lance Armstrong’s case this is what has happened. As I watched the first part of his interview with Oprah, he has tried to come out smelling like roses, of course with Oprah’s help. Lance Armstrong was the greatest cyclist ever! 7 tour de france titles is a remarkable achievement, as was his come back from cancer and then building the Livestrong Institute. Here was a man who connived to cheat not only his name in the history books but our conscience too; we all bought the wrist bands and helped his charity, even here in Pakistan. As I look back, his stone cold reply to all the accusations was always that “I never failed a test”, knowing full well that EPO was not tested. He lied in front of a jury when asked about Michael Ferrari as if he agreed, he would be nodding to cheating. He had the gall to tell Oprah that his case of cheating was not as big as the East German Sports Machine of the 70s and 80s. Moreover, he has stated that he thinks his crime doesn’t fit the ‘death penalty’ and that he shouldn’t be banned from all sports. To him, I want to ask, who are you to make any conjectures? Lance Armstrong was a CHEAT and is a CHEAT. What annoys me more than the actual cheating is the cover up the team did during the whole period and afterwards. Is that not shameful? US Postal must be banned and that too forever. All associated with the cheat are cheats too and must face the music, which is what the USDA must decide quickly. I have been raised to be just and stand by justice. I feel that I have been wronged; wronged because I believed Lance and trusted him. I idolised him as did many Americans and French and when he took up the charity even NIKE, his sponsor contributed hugely. Today they have had to drop him and not only that, he had to step down as the head of his foundation. This is like giving up your child for adoption although you have everything to raise and support him or her except morals. His selfishness may lead to the charity closing down due to lack of support or then, worse still having to change its name. My take is that we don’t make him a top story and let him wallow in his own guilt as that is the best punishment a cheat deserves; total ignorance by all. Let the canary sing in isolation so that his song goes unnoticed. Read more by Brig Ayaz here. A retired brigadier from Karachi who is a sports enthusiast and a self proclaimed sports analyst. Has played most games at a serious level in the Army. Buck up Team Pakistan, or the Australians will cream you! Very well written.Armstrong was an icon to millions-they watched Tour de France because of him and admired his courage and tenacity-what a letdown-and to spill the beans on Oprah-trivialises the whole event. The author Mr Ayaz Peer Mohammed literally penned down what I had been feeling. 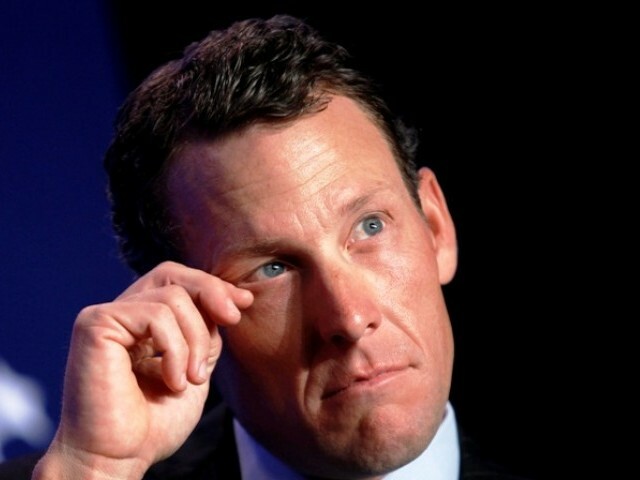 Growing up, Lance Armstrong had been a hero for many, and he fell from grace. We do not need such idols. More than his loss, we lost, our feelings were played with. Sportsmen like him are role models for many, so Lance Armstrong should have been more responsible. He owed it to his fans. Couldn’t agree more with the author that “Let the canary sing in isolation so that his song goes unnoticed.” -serves him right.